A beautiful mixture of solid shades and bi-colors reminiscent of a summer sunset. Each blossom is sweetly fragrant and most bloom above the foliage. 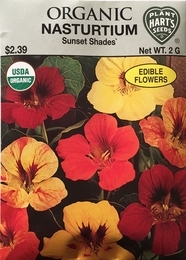 Do not fertilize; enriched soil tends to produce more foliage and less flowers. 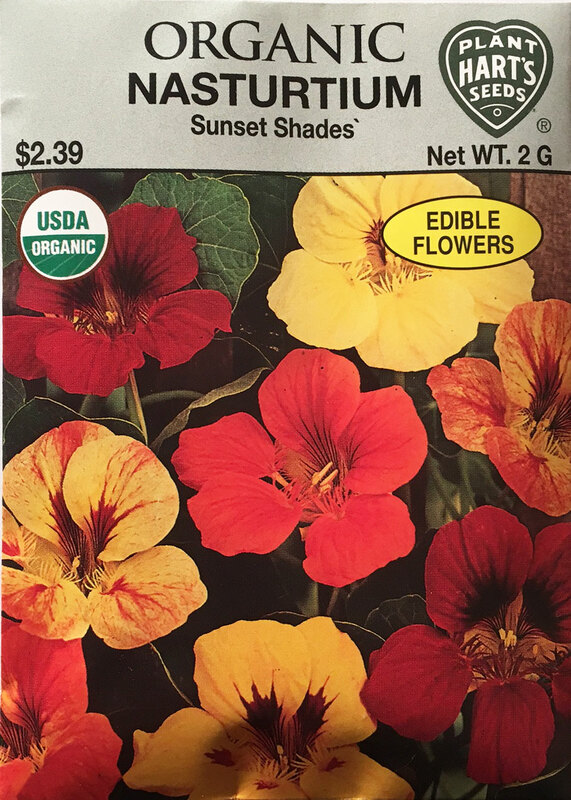 One of the best edible flowers with a mild pepper taste similar to radishes. You can eat the entire plant: leaves, flowers, and even immature seeds pods can be pickled to replace capers. Germinates in - 10-15 days depending on the soil temperature and weather conditions.